What are Bounce Back Kits? Bounce Back Kits are care packages sent to member families’ doorsteps to enhance coping when they are “locked in” at home. 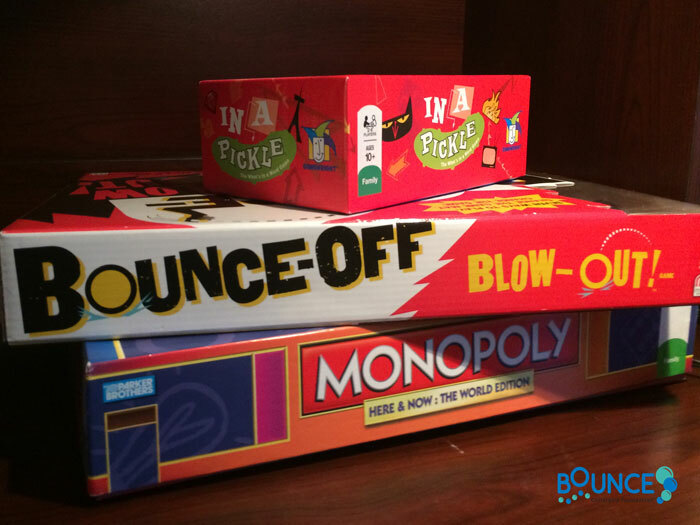 Acting as “Inspiration-in-a-Box”, Bounce Back Kits are both holiday and accomplishment themed and include fun activities for the entire family to do together. How does the Bounce Back Kits program help? Families with children battling chronic illness are often ‘locked-in’ at home (i.e. : before surgery, after treatment, during severe flare-ups, etc.) further disrupting their lives. Frustration, depression and anger can easily set in with all family members. These ‘boredom busters’ provide a valuable sense of relief as well as real togetherness at those times when it’s extra difficult to bounce back from yet another setback. Who can receive a Bounce Back Kit? All Bounce families are automatically enrolled in the Bounce Back Kit program and are eligible to participate in the next round of Bounce Back Kits. When do families receive a Bounce Back Kit? When families join the Bounce community, they receive their first Bounce Back Kit as a welcome to Bounce. They will also receive holiday themed Bounce Back Kits throughout the year (i.e. : Valentine’s Day, St. Patrick’s Day, Mother’s Day, Father’s Day, Fourth of July (Independence Day), Halloween, Thanksgiving, Christmas/Hanukkah/Kwanzaa and more). Most importantly, Bounce families can always request a Bounce Back Kit to provide moments of joy when they need it most: perhaps to celebrate a Bounce child’s discharge from the hospital or successful completion of a round of therapy/treatment; or to recognize important events and milestones for a healthy sibling; or to celebrate a family birthday or anniversary; or as a general ‘boredom buster’ when locked-in at home yet again. What might be included in a Bounce Back Kit? How much do Bounce families have to pay for a Bounce Back Kit? Absolutely nothing! All Bounce programs and services, including Bounce Back Kits, are offered free of charge to members. Can families request a Bounce Back Kit? 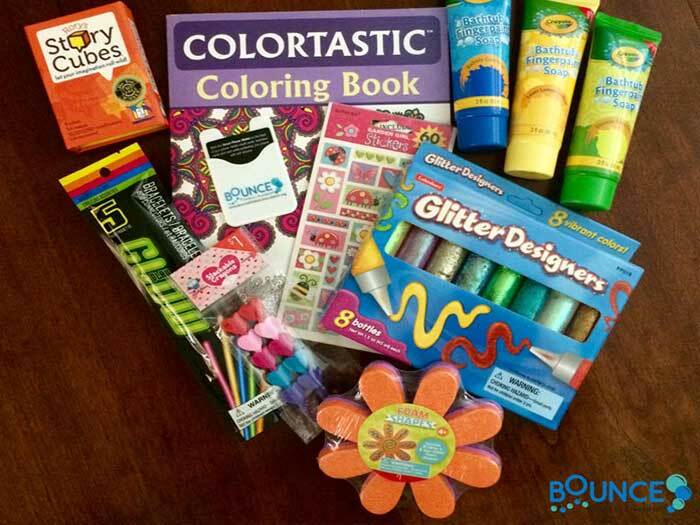 Bounce Back Kits are periodically sent to Bounce kids and families. However, Bounce families can always request a Bounce Back Kit during times of specific need. 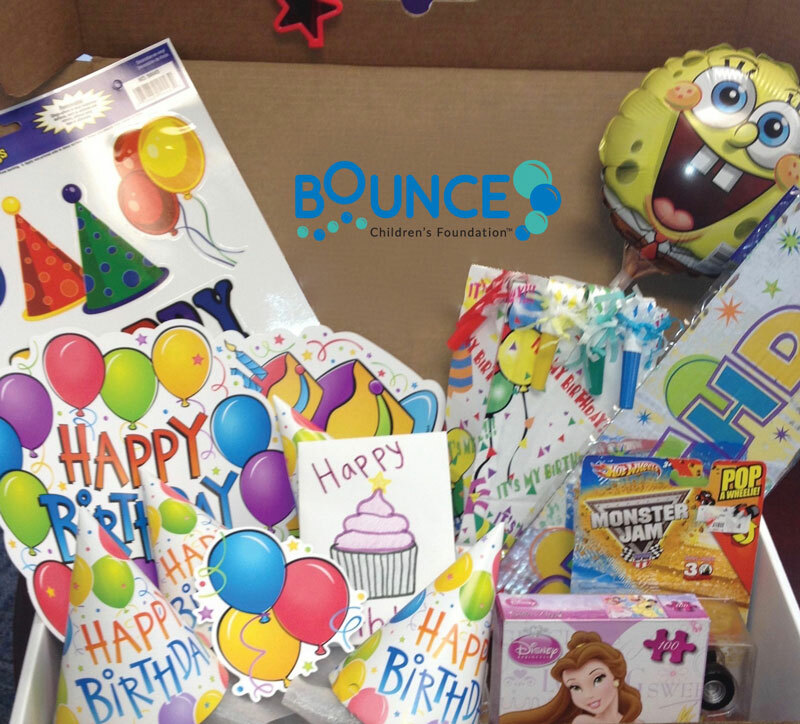 If you are a family who would like to request a Bounce Back Kit, please visit BounceNet®. Membership is available to all families with a child, under the age of 18, who has been diagnosed with a chronic disease and/or permanent injury, regardless of socioeconomic status. When a child is diagnosed, the entire family is diagnosed, so we welcome – and serve – the entire family. (NOTE: all family members must live in the same household.) To join, simply complete our application. How can I support Bounce Back Kits? You and/or your company can sponsor a round of Bounce Back Kits. Your company and/or group can help pack a round of Bounce Back Kits – we’ll even bring everything to your office! You and/or your company can donate items to include in Bounce Back Kits. To learn about other ways to get involved with Bounce Children’s Foundation®, please click here. The cost to sponsor one Bounce Back Kit is $50. Your generous donation covers the entire cost of a Bounce Back Kit that is delivered directly to a member family’s doorstep. Your company and/or group can help pack Bounce Back Kits. 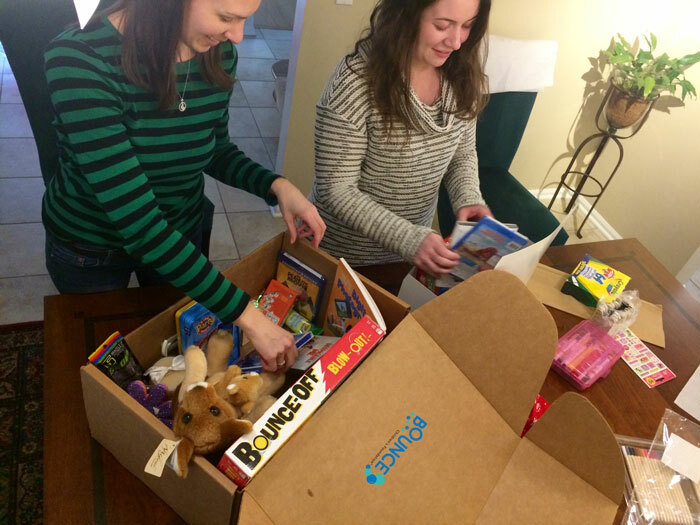 Groups can donate three to four hours of time can help personally pack Bounce Back Kits.